Tony Wynshaw-Boris received his MD/PhD degrees from Case Western Reserve University School of Medicine. His PhD was under the direction of Richard Hanson, PhD, where he elucidated the sequences within the PEPCK promoter required for activation by cAMP and glucocorticoids. He did his residency in Pediatrics at Rainbow Babies and Children's Hospital, followed by a medical genetics fellowship at Boston Children's Hospital. While in Boston, he did a postdoctoral fellowship at Harvard Medical School under the direction of Philip Leder, MD, where he studied mouse models of developmental disorders. 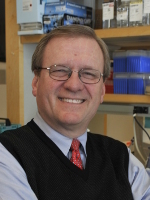 In 1994, Dr. Wynshaw-Boris set up an independent laboratory at the National Human Genome Research Institute of the NIH, where he initiated a program using mouse models to study human genetic diseases, with a focus on neurogenetic diseases. In 1999, he moved to UCSD School of Medicine, where he became Professor of Pediatrics and Medicine, as well as Chief of the Division of Medical Genetics in the Department of Pediatrics. In 2007, he moved to UCSF School of Medicine, where he was the Charles J. Epstein Professor of Human Genetics and Pediatrics, and the Chief of the Division of Medical Genetics in the Department of Pediatrics. In June 2013, he returned to Cleveland to become the Chair of the Department of Genetics and Genome Sciences. Research in Dr. Wynshaw-Boris's laboratory is focused on understanding genetic and biochemical pathways important for the development and function of the mammalian central nervous system, primarily using mouse models and more recently induced pluripotent stem cells (iPSCs) of human and mammalian diseases to define pathways disrupted in these diseases. There are currently four main projects in the laboratory: the role of the three mouse Dishevelled genes during early development; the genetics and pathophysiology of autism and social behavior, with particular emphasis on pathways responsible for brain overgrowth, using mouse and human iPSC models; and finally the development of a novel concept called Chromosome Therapy, based on the correction of large chromosome aberrations by ring chromosome induction in patient-derived iPSCs. Dr. Wynshaw-Boris has been the Executive Editor of the journal Human Molecular Genetics since 2005. Finally, Dr. Wynshaw-Boris, with his co-editor Robert Erickson, published the third edition of their comprehensive book Epstein's Inborn Errors of Development (2008, Oxford University Press). Dr. Wynshaw-Boris's laboratory has made mice with mutations in each of the three Dishevelled (Dvl) genes, and they have uncovered partially unique but predominantly redundant functions among the three Dvl genes. In support of unique functions for each of the Dvls, single mutants for Dvl1 display novel social behavior abnormalities, while both Dvl2 and Dvl3 mutants die at birth conotruncal heart defects and display cochlear abnormalities. Dvl1;Dvl3 double mutants display more severe behavioral defects (unpublished) while Dvl1;Dvl2 and Dvl2;Dvl3 double mutants display severe neural tube defects (craniorachischisis) and severe cochlear defects. Finally, Dvl1;Dvl2;Dvl3 triple mutants die soon after implantation, supporting redundant functions among the Dvl genes. They are now using these tools to provide a comprehensive analysis of the role of the canonical Wnt and non-canonical Wnt/PCP pathways during early development. In addition, they are investigating the role of Dvls in complex mammalian behaviors such as social behavior, fear responses and sensorimotor gating. In particular, they have investigated a novel model with social behavior abnormalities and embryonic brain overgrowth, providing an important link between embryonic development and adult social behavior (Belinson et al. 2016 Mol Psychiatry. 2016; 21: 1417). They are further investigating these and other mouse models. A recent interest in the Wynshaw-Boris laboratory is autism. Over the last several years, it is apparent that autism, a highly heritable disorder, appears to be associated with brain overgrowth, although the precise timing and cause of this overgrowth is unknown. Currently, they have made iPSCs from autism patients who displayed early brain overgrowth and control, non-autistic individuals with normal brain size to see if there are cellular phenotypes associated with early brain overgrowth. They have found that neural progenitor cells derived from iPSC models from autistic patient with brain overgrowth proliferate faster than those from control patients (Marchetto, Belinson et al. 2017 Mol Psychiatry. 2016; 22: 820). They are further investigating a conserved transcriptional cascade disrupted in the mouse and iPSCs models. They are also using these austistic patient-derived and control iPSCs to generate neuronal precursor cells (NPCs) and cortical neurons, as well as three dimensional cerebral organoids to study proliferation, apoptosis and differentiation of uniform populations of cells as well as early self-arranged neuronal structures in the organoids. Approximately 1 in 500 newborn infants are born with chromosomal abnormalities that include trisomies, translocations, large deletions and duplications. There is currently no therapeutic approach for correcting such chromosomal aberrations in vivo or in vitro. Recently, we attempted to produce induced pluripotent stem cell (iPSC) models from patients that contained ring chromosomes: one with a ring chromosome 17 (r17) and two patients with different ring chromosome 13s (r13). Surprisingly, while all three of lines were reprogrammed to iPSCs efficiently, the ring chromosomes were eliminated and replaced by a duplicated normal copy of chromosome 17 in the r17 line and normal copies of chromosome 13 in the r13 lines (Bershteyn et al. 2014, Nature 506:99). This finding suggested a potential therapeutic strategy to correct large-scale chromosomal aberrations. We hypothesized that a chromosome with a large aberration could be corrected by producing a ring chromosome from the aberrant chromosome in iPSCs, which would then be eliminated and replaced by a normal chromosome. We are testing this hypothesis by attempting to induce ring formation in patients with large deletions of chromosome 17 via a Cre/loxP approach. If successful, we will have a generalizable system of "chromosome therapy" for the correction of large chromosomal aberrations by the induction of ring chromosomes through genome editing followed by loss of the ring and duplication of the normal chromosome. Cell-autonomous correction of ring chromosomes in human induced pluripotent stem cells. LIS1 controls mitosis and mitotic spindle organization via the LIS1-NDEL1-dynein complex. Neurodevelopmental and neuropsychiatric behaviour defects arise from 14-3-3ζ deficiency. Preprocessing and Quality Control Strategies for Illumina DASL Assay-Based Brain Gene Expression Studies with Semi-Degraded Samples. Age-dependent brain gene expression and copy number anomalies in autism suggest distinct pathological processes at young versus mature ages. Global developmental gene expression and pathway analysis of normal brain development and mouse models of human neuronal migration defects. Genome-wide expression assay comparison across frozen and fixed postmortem brain tissue samples. Distinct dose-dependent cortical neuronal migration and neurite extension defects in Lis1 and Ndel1 mutant mice. Inhibition of calpain increases LIS1 expression and partially rescues in vivo phenotypes in a mouse model of lissencephaly. An essential role of the aPKC-Aurora A-NDEL1 pathway in neurite elongation by modulation of microtubule dynamics. Neuroepithelial stem cell proliferation requires LIS1 for precise spindle orientation and symmetric division. Mechanisms of prickle1a function in zebrafish epilepsy and retinal neurogenesis. 14-3-3epsilon is important for neuronal migration by binding to NUDEL: a molecular explanation for Miller-Dieker syndrome. Multiple dose-dependent effects of Lis1 on cerebral cortical development. A LIS1/NUDEL/cytoplasmic dynein heavy chain complex in the developing and adult nervous system. Graded reduction of Pafah1b1 (Lis1) activity results in neuronal migration defects and early embryonic lethality. Social interaction and sensorimotor gating abnormalities in mice lacking Dvl1.